Lucy and Andy have some extra space in the cave now the humans have moved out. But they do miss hanging with Sasha and Tommy. Luckily, their new friends live right around the ice block, close enough to form an explorers' club! These adventurers are on the hunt. Their first big discovery: dinosaur bones! Jeffrey Brown masterfully blends facts with funny in this graphic novel series. 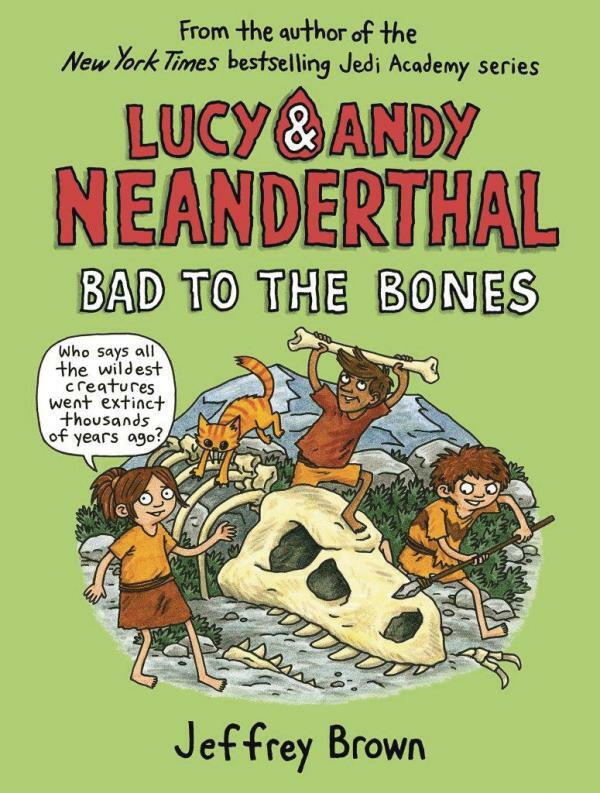 Includes theories about how Neanderthals went extinct; a timeline covering the history of Earth, dinosaurs, Neanderthals, and present day; museums, caves, and paleontologists of note; and Neanderthal Fact vs. Fiction.